The Internet has changed everything. We shop differently. We socialize differently. We work differently. Much of the change has had positive effects. But it’s also forced many small businesses utilizing local marketing tactics to compete against giant companies online. It’s made it so much easier for businesses around the globe to offer services at rates you can’t compete with. You can spend a lot of wasted time and money trying to compete in this global marketplace head-on. Or you can get smart about local marketing. Even if you have national or global aspirations, your local market is your point of power when you know how to leverage it. Let’s look at steps you can take now to do just that. You’ve heard of local SEO. But you may not realize just how important it is to a local business. Without taking steps to optimize your website for local search results, you’re competing with every website on the Internet. Instead, you could be competing in your local market and winning at it. If you’re marketing this broadly when you don’t have to, you’re spreading your resources razor-thin. Getting a decent ROI is nearly impossible. Local SEO turns the impossible into possible. But it’s not automatic. Google doesn’t just see that you’re local and give you preferential treatment. You have to clearly demonstrate that you’re a local business and that you’re the best among your local competitors. These establish that you’re indeed a local business. Why do they need so much proof? It’s so people can’t easily fake being a local business to take advantage of local SEO. It’s powerful stuff. Let’s walk through the steps you need to take to optimize for local searches. If you’re already investing in SEO, you may have already taken this step. But it must be mentioned. SEO starts with a responsive website design. 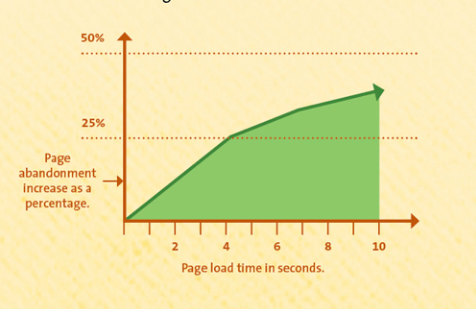 Make sure your site is loading as fast as possible. Marketing analytics firm, Kissmetrics found a clear connection between load time and people abandoning the site. For every additional second it takes to load, you’re losing visitors. Make sure it’s mobile-friendly. Over 50% of website traffic now comes through mobile devices. If you’re not making sure that your website is user-friendly on mobile, you’re losing another half of your potential customers. 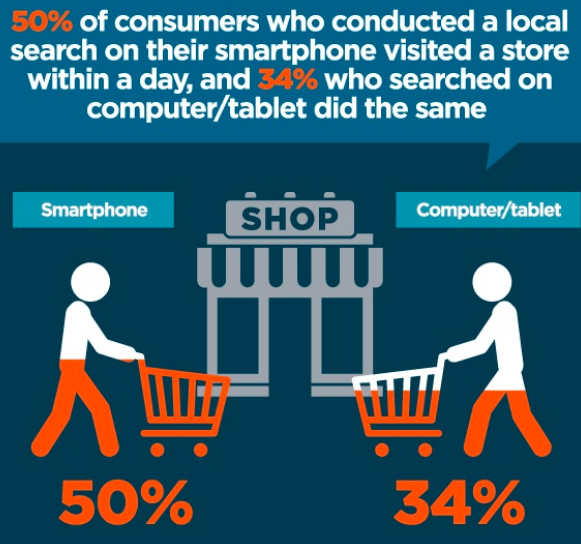 50% of people who visit a local business on mobile, will visit the physical location within 24 hours, according to Hubspot. You need this traffic. Make it easy to navigate. You’re just trying to be helpful. But people get confused by too many choices. They appreciate when you narrow it down. Keep navigation simple and straightforward. Use analytics to determine how people interact with your site. If you have a high abandonment rate or bounce rate, then apply strategies to reduce these. When these rates are high, search engines think that you offer a bad user experience. Reviews are the lifeblood of local marketing. Their power extends beyond SEO. 88% of customers now check at least one review before deciding to do business with you. Great reviews will drive real paying customers to your door. Claim and fill out your Yelp, Yellow Pages, and BBB profiles. Search for other local directories to update your info. 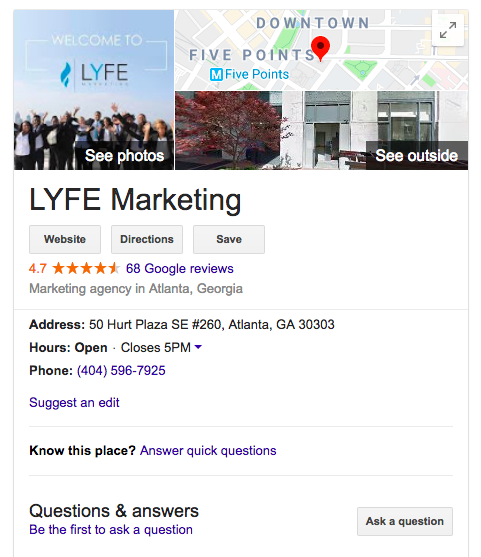 One of the most important review profiles you can set up for local marketing is your Google My Business profile. Fill out your profile with a detailed description and high-resolution photos. Add your hours and update them for holidays. Google will send you a reminder. Put a system in place to start getting more customers to write you reviews. While Google is the most important for Google search results, other popular searches like Apple Maps use Yelp. Others use Facebook reviews, etc. Work to get great reviews on all major sites. If you have never asked for reviews before, craft a catchy email or post to send existing loyal customers. Express how important their reviews are to your business. Give them a place where you prefer them to leave the review. Be consistent with contact information across platforms. If you put a period or use abbreviations in one address, do it in all of them. If you find inconsistencies in the way a review or directory displays your contact information, reach out to have it fixed. Your full NAP should also be on every page of your website. The footer is a perfect location. At a more advanced level, you can use schema.org to markup your address and other information on your site. Schema is a “special coding language” that all of the major search engines recognize. This language tells search engines how data should be displayed in search results. Without markup, it would just be a string of text. When you see something like this come up in search results, that’s schema markup. 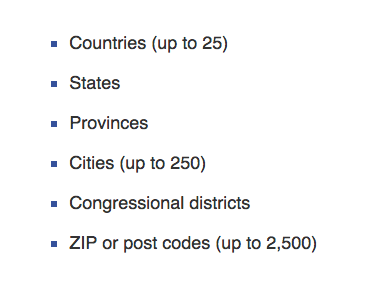 Add your city or region and a keyword to various locations on your site to capitalize on your local marketing efforts. Only put the information where it makes sense so that it never jeopardizes user experience. Here are some of the locations that you can use this local marketing tactic. This may require coding knowledge. Talk to your webmaster if needed. Also embed the Google maps into pages where it makes sense to do so. Work to obtain links from other local websites. These links demonstrate to Google that you have “roots” in the community. The pages linking to you should be somehow relevant to your business. But they aren’t your direct competitors. Think about your industry as a whole. A construction company may link to a construction materials supplier. A lab service may link to a doctor or vice versa. A local chapter of the American Dental Association might link to local dentists. Also think about your community. A link can still be relevant if it appears natural to search engines. A local school may link to a business that held a fundraiser for their band. A local musician who appeared at an event at your business might link to your site. You might write an article or submit a video to local news site that links to your business. Local reporters may link to press releases about events at your business. Citations include any reference to the location of your business whether they are linked or not. Google will also use the presence of these citations to establish that you’re a local business. Find them and make sure they’re consistent. With the firm foundation of local SEO beneath your local marketing strategies, it’s time to move on to local marketing on social media. Anyone can follow you on social media. If you’re posting great content, then your followers could be from anywhere. On the one hand, it’s great to be recognized on a national or global level. But, on the other hand, you’re getting a lot of engagement from people who won’t ever become local customers. They live across the country or world. This skews your social media numbers. It makes it seem like you’re doing better than you are in terms of engagement. But you’re not seeing any increased revenues result. It doesn’t matter that 78% of the world population is on at least one social media site if you’re not attracting people who can become customers. That’s why location targeting for both the free and paid side of social media marketing is so important. Let’s look at the “free” side first. Note that it’s free as in you don’t pay for space. There are still time and money costs involved in social media marketing. How do you build a local following? Don’t get us wrong. Having those non-customers on your social media profiles can be positive. It provides social proof because you have so many views, shares and followers. If, in the future, you expand into their market, you already have some recognition. They shouldn’t be rejected. They can help increase your local following. But they’re not your target if you’re a local business local marketing to local customers. Be where the locals are. You may have local social media or local industry forums where locals spend their time. If your target customers are there, invest some of your social media time into them. Find out where your local competitors are. Use mention tracking software. It scours the Internet looking for brand mentions for a company you specify. If your competitor is in a certain place online, you need to be there too. Start conversations on things that are happening locally. Whenever possible relate them back to your business. Demonstrate your connection to the community. Share pictures and videos of your brand participating in local events, festivals and fundraisers. Have contests for prizes locals will appreciate. What about a downtown parking pass? Tickets to a local event? Gift card for a local or regional restaurant that people love? Integrate social media into events sponsored or hosted by your business. Get locals excited and talking about the event. Run a local competitor analysis. What are they doing? How are they doing it? Do it better. Integrate local festivals, businesses and customs into your social media posts and website content. Share content from local celebrities or businesses. They may also return the favor. Network with local celebrities or businesses to help boost each other’s local presences. We’ll discuss this one in more detail under the “influencer marketing” section. Use geotags. In Instagram and Facebook, you can tag photos and videos with a location so that more locals find your page. Use local hashtags. #GoPreds #Whodat #ATL. Find popular hashtags in your area through hashtag.org or by researching what’s trending locally on platforms like Twitter. Activate post targeting in your Facebook settings. Each time you post, you’ll have the option restrict who sees the post based upon location. We would not recommend this for all posts. But it can help you narrow your reach for very locally-relevant posts. Now, let’s look at the paid side of this. Not only does location targeting help you connect with the local audience through your ads. It saves significantly on ad spend. People who aren’t local don’t see your ads. They can’t accidentally click on them. That’s cost per click payments that you keep in your pockets. Location targeting is more than just targeting your neighbors in your ads. You can get very specific about who you target locally. People who were recently in the area. This could be travelers who just left or commuters. Next, choose the area you want to target. Go broad or get very specific. 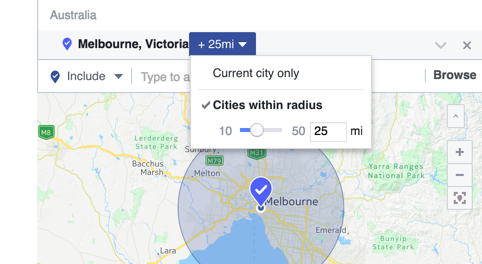 You can also use a radius tool to target people close to your business on the map. As a small local business, display highly relevant ads to these geo-targeted groups. Keep in mind that the ads you show to locals may not be the same ones you could use to connect with out-of-towners. Thousands of people have just descended on Manchester, TN for the Bonnaroo Music and Arts Festival. Your local business is within 50 miles of this festival. You could target these festival goers before, during, or after the festival. What does your business have to offer? Offer these weary festival goers a discount for something they need on the way back to their normal lives. Local marketing allows you to connect with an audience on a very personal and meaningful level. The same ad would seem completely irrelevant to someone outside the area. But because you targeted by location, you’re sending the right message to the right person at the right time. You can also build your Instagram ads through Facebook Ads Manager, using the same geo-targeting system. Instagram shares Facebook’s massive database of user activity. Leverage it to target people locally. Whether boosting a tweet or advertising on Pinterest, local marketing helps you reach customers who are actually able to buy because they’re in your area already. We expect this ability to target locally to continue to approve. We look forward to finding innovative ways to use it. Local marketing is the secret weapon for small, local businesses. With clever local social media advertising strategies, you can compete with large chains on a small business budget. For a local business, location targeting is one of the best ways to increase your AdWords ROI as well. It’s for the same reason local marketing is so important in social media advertising. You waste money when people who can’t become customers click on your ads. If you have a cap on your daily AdWords spend as most businesses do, you could spend all of your money outside the area. You’d have none left for locals. Just like Facebook, Google AdWords makes it very easy to set your campaigns up for local marketing. Just go under settings > select campaigns to edit > select change location > enter locations. You can also use radius targeting. 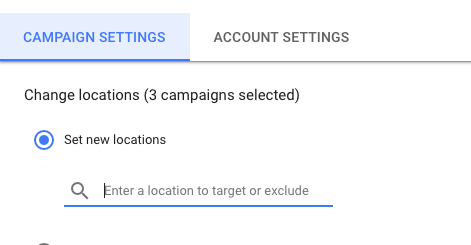 From the AdWords side menu click campaign > choose a campaign to edit > select locations > choose your location and radius. 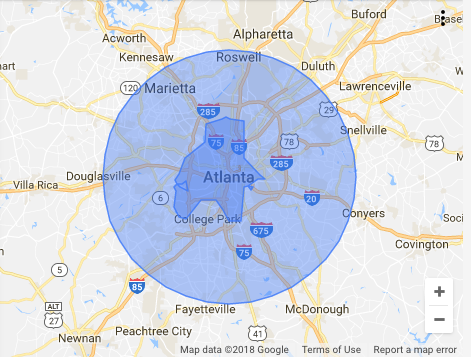 One of the reasons that radius is an effective location option is because it doesn’t limit your ad based upon arbitrary city limits. If someone is within a certain number of miles they still get the ad. Most people want to support local businesses even if it means paying a little more. The reasons vary. But a lot of it comes down to trust. They feel like you share their values and root for the same local sports teams. This sense of community often transcends any differences that can sometimes separate people. Some people buy locally because they realize that keeping dollars local boosts the local economy. Others may think that because they can meet you face-to-face, they’re more likely to get good service. Don’t be afraid to appear to be the smaller, local company you are. Show that you’re connected to the local community to earn the trust of local customers in a global world. Choose a local cause that’s close to your heart. Donate business services or organize your employees and family for a volunteer day. Host local fundraisers. Get your customers involved in the efforts. Share all of it on social media, not in an overly promotional way. But do it in a way that shows you care about making the world a better place. This works best if they’re in the same industry but different areas. Share each other’s posts to help each other reach more customers on social media. Offer a bundle discount when people buy a service from both of you. Work together to host an event. That leads us to the next point. Get people excited on social media. Organize a conference for other local business to build networking opportunities. Offer a workshop where you walk people step-by-step through a related DIY project. Get your loyal customers excited about a new product launch by inviting them to an exclusive launch party. Forbes Magazine calls local influencer marketing one of the best ways for a small business to get their name out there. Influencer marketing is the act of networking with someone online that your target customer love, respect, admire and/or trust. You then “piggyback” off their following to grow your own. On a national scale, people might turn to huge names in the entertainment or sports world. But you’re a small business. These huge names are often cost prohibitive. And their reach is much broader than you need to go to get local customers. By scaling down to an influential local celebrity, you’ll reach the right people for the right price. In fact, in some cases, a local influencer may share for little compensation because they love your brand. They’re not charging you something outrageous. You can’t expect them to work for free. But it’s rarely worth it to pay thousands for a small action on their part. They’re someone who would not reflect poorly on your brand. An athlete with a “bad boy/girl” reputation may be good for some brands but not others. If they have a following and they align well with your brand, you have a winner. There are many ways to leverage influencer marketing. Let’s look at a few. Track your mentions. See if an influencer is already using your product. Reach out. Request to interview them. Publish it on your blog. They’ll share it and link to it. Ask them to use and review one of your products. They’ll share images or videos of them using it with followers. You can share their review on your profile to increase social proof and earn new followers. Remember, never to appear that you’re buying a good review. That’s bad publicity you don’t need. Ask them to feature your product or service in an online manual, tutorial, video, etc. to solve a problem. Tutorials are often filled with generic tools because businesses don’t want to endorse specific products/services that aren’t theirs. But if you ask nicely, local to local, you may earn a spot for a fraction of what you’d pay for advertising. Find new and creative ways to create mutually beneficial partnerships. As a small, local business, it’s easy to look at what the big players in your industry are doing. You try to mimic it. But there are reasons it doesn’t work. It isn’t designed with a small local business in mind. Local marketing, on the other hand, helps a local business work to their strengths to do more with less and succeed. To learn more about how we can help you grow through local marketing, contact us today.